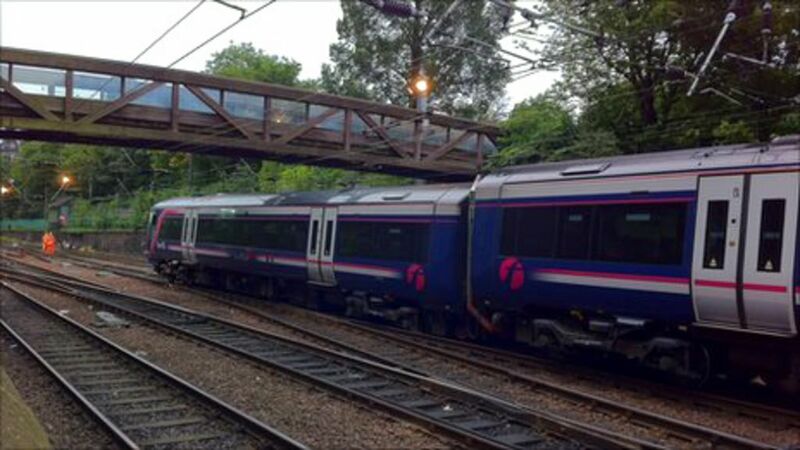 Trains in and out of Edinburgh's Waverley station, disrupted by a derailment, have returned to normal. Trains in and out of Edinburgh's Waverley station, disrupted by a derailment, return to normal, ScotRail says. Looking at first glance like the aftermath of a derailment, the 1150 NXEC Glasgow Central - London Kings Cross meanders slowly past engineering works in Princes Street Gardens to enter The Mound north tunnel, directly below the camera, on 28 December 2007. The works are in connection with the electrification of the central tunnel as well as the remaining Waverley west end platforms. Eastbound train entering the centre tunnel under The Mound. 334 035 and 010 head west through Princes Street Gardens shortly after leaving Waverley on 14 June 2011. In less than a year such sights have gone from unknown to commonplace.